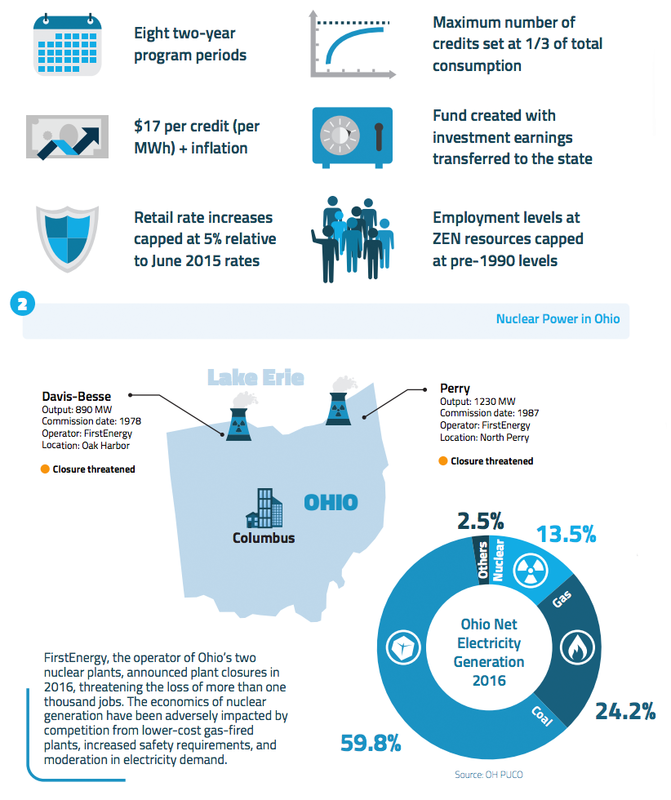 Ohio SB 128 would create a zero-emissions nuclear resource program to subsidize the state’s nuclear plants for providing fuel diversity and environmental benefits. The proposal is similar to programs in New York and Illinois which are facing lawsuits for discriminating specific generating units and infringing on the Federal Energy Regulatory Commission’s authority over interstate electricity markets, underscoring the need for market-based solutions to drive the nuclear industry in future. The New York State Public Service Commission has issued an order adopting a new Value Stack pricing mechanism to compensate distributed energy resources in a more accurate and granular manner. The order marks an important ﬁrst step in moving beyond net metering to a compensation structure that considers location and environmental beneﬁts that were previously not quantiﬁed. The Arizona Public Service and solar industry have reached a rate case settlement agreement to bring a five-year debate over rooftop solar compensation to an end. With the agreement, Arizona joins New York and Colorado where utilities and solar advocates have reached similar compromises in the transition from retail rate net metering, demonstrating that the solar industry and utilities can find practical alternatives to solar grid charges.